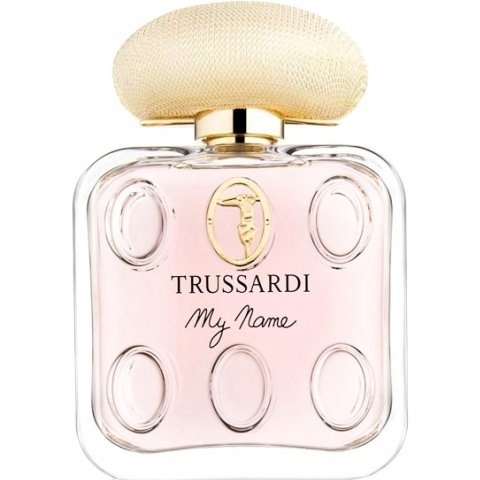 My Name is a popular perfume by Trussardi for women and was released in 2013. The scent is floral-powdery. It is being marketed by Angelini Beauty. The face of the advertising campaign is Gaia Trussardi personally. She is the head designer of the house. The promotional video was shot by director Gabriele Salvatores. ...because I won't tell you that easily. First impression counts, you say? You think I'm a naive little flower who's never had anything bad happen to him, who wants to please everyone and has no mischief in his head. But I'm deeper than you think. Come here, sit with me in the green meadow. Right there under the bright lilac, I will show you my soul quietly and gently yet with full presence. Wait a while and listen to the wind blowing gently through the leaves. How old do you think this tree is? Many summers and many winters he has seen come and go. He had had to shake off many leaves, blossoms and branches in order to recreate himself, yes, to survive. Many animals visited him, some only briefly, others longer and a few remained a life. What didn't kill him made him stronger to become what you see now. When you have something on your mind, he will gently help you. If you're happy, he's happy with you. Over the years he has found his balance, gained patience and wisdom. He gives in to the wind instead of fighting it. He knows exactly what he wants, but he's waiting for the right moment. Then he will succeed. You don't want to like him. You feel naturally safe with him. He powders you, shows you your inner strength, the inner peace that even on stormy days lives deep inside you. A serene serenity, independent of situation and place. He accepts you as you are and loves you as well, regardless of whether you love him or not. So am I. Now let it work on you for a while and when you are ready, give me your hand, I go with you and carry your name. For I am your true nature. What I love about this site and my blind purchases that are based on reviews here? They expose me to frags that would otherwise not even come up on my radar. And lately I just have luck with my blind purchases. So I ordered My Name, and boy am I glad I did. This is way better than I anticipated based on the notes listed here and the reviews. It is sweet indeed, but in a very light way, yet not the fleeting kind of tenderness. This could become my new casual day time fragrance. It will not bump my favorite day time beauty Jil Sander Sun off as my signature fragrance, but it is more wearable day in day out than Sun, which for me is more a leisure time scent. My Name is not too intense for a day at the office, but still it has a happy leisure time vibe to it. Most of the frags I use for work are more on the nice but boring side (like L'air du Temps), as I want to be safe and not being offensive. This fits so much better to me and my personality. 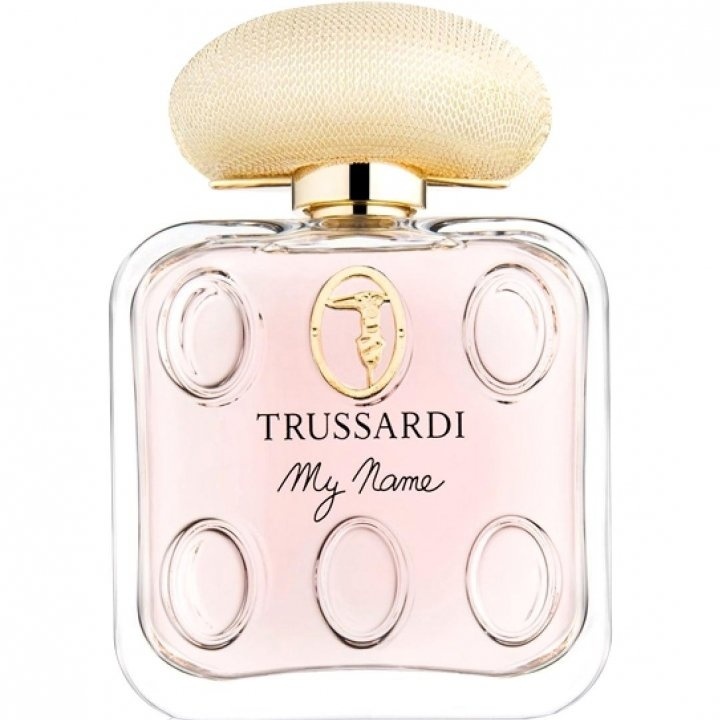 I love it, and even though I consider Jil Sander Sun as my signature fragrance, I am sure I am going to wear My Name a lot more than my all time beauty this summer, because there are more opportunities for it. It smells a bit like a nice hand lotion. It is truly lovely. I guess this is a fragrance nobody minds at all. It fits in with many people's idea of "niceness" in a fragrance, clean and clear, just a very vague hint of a scent. No seduction, no party, no unexpected turns, no classic "Italian" style. This newcomer doesn't rock the boat. It smells of pretty white flowers and a base of ambroxan and vanilla which harmonise beautifully. 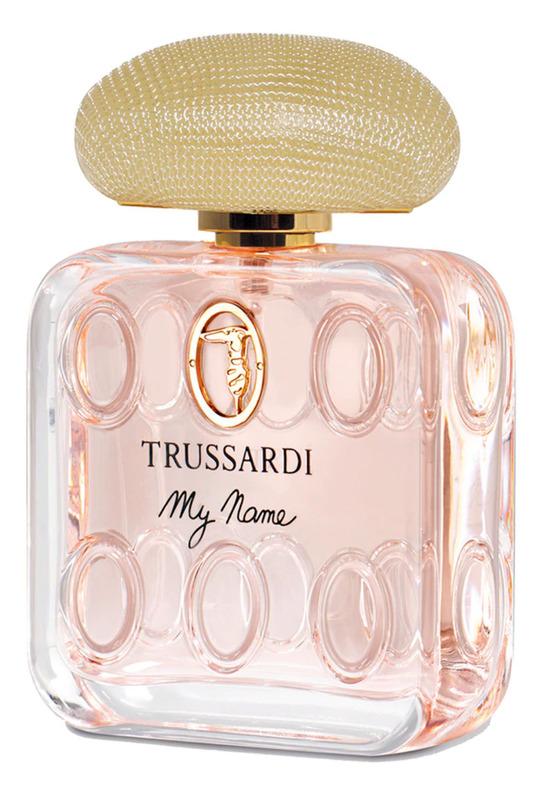 If you hate powerhouse perfumes and bold statements "My Name" could be a nice fragrance for you.